T.G.I. 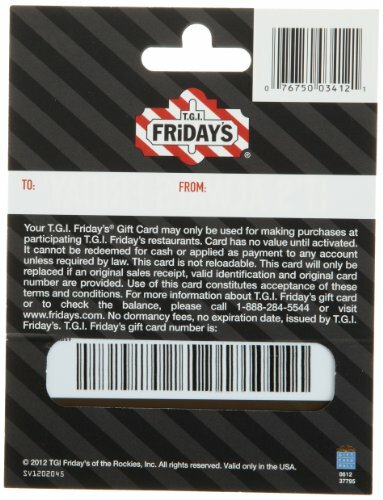 Fridays, credited as being the first American casual dining chain, offers a unique dining experience that has become the favorite pastime of millions worldwide. T.G.I. Fridays, founded in 1965 in New York City, currently has over 590 restaurants in 47 U.S. states as well as in 54 countries around the world. T.G.I. 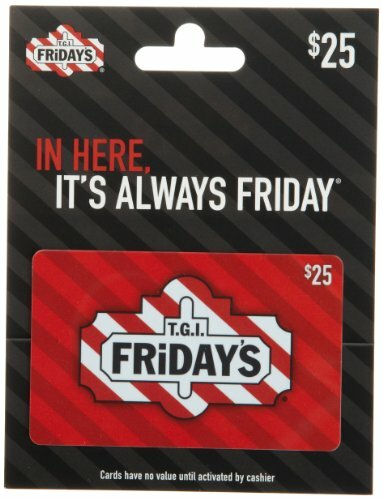 Friday’s® offers a unique dining experience that has become the favorite pastime of millions worldwide. Redeem at a participating T.G.I. Friday’s® restaurant.